At Cottage Cardiology Clinic, our compassionate team is committed to providing cardiovascular disease management for men and women. Good health is a life-long journey and our personalized patient experience can make your journey smoother and reduce the fear of cardiovascular disease. 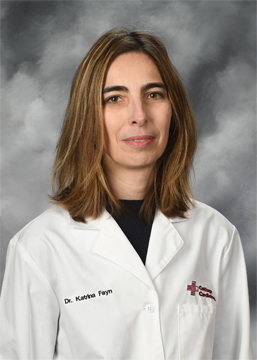 Dr. Katrina Fayn, FACC, provides skilled and collaborative care for all patients as part of an integrated, multidisciplinary team of physicians at Cottage Clinics. As a board certified cardiologist, Dr. Fayn provides a range of care available right here in Galesburg. Cardiac Patient Exercise Program with physician referral. Monday, Wednesday and Friday, 5 a.m. to 4:30 p.m.
Tuesday and Thursday, 7 a.m. to 2 p.m.
For more information, call 305-345-4439. Cottage Cardiology Clinic Hours: Monday - Friday 8:00am – 5:00pm. For an appointment, call 309-343-2335. Our website is designed to answer questions you may have about your health, our practice and our policies.